The news that Meghan Markle will start her walk down the aisle alone (but for a few frilly children) seals her place as a new feminist icon and welcome member of the Royal Family. And I say that as a dyed in the wool, red-blooded Republican. Of course it’s lovely to have your father (or mother) walking into the church with you as a companion. It’s an important day for family, but the concept of being ‘given away’, like a birthday present (or a servant) to a man, is surely as archaic a concept as putting someone in the stocks for bad behaviour? Or, even worse, wearing the wrong length jeans. Many criticisms have been levied at Markle over the last week, with much finger pointing at her (in many ways very unfortunate and divided) family for not being as blue-blooded as the Royals, and there has always been a ‘gold digger’ query from plenty of quarters. But do we not all have a slightly embarrassing relative in our genetic stable? The Markles en masse may appear to be a sort of US version of Eastenders, but the Windsors are really no better, with affairs, substance abuse and divorce rife amongst them. Owning castles doesn’t make you morally superior, even if you are at the top of the social food chain. Besides, Markle had a successful career of her own, unlike many of the royal ladies. Markle may not have been sleeping on a mattress stuffed with £50 notes, but she lived a glamourous and well paid Hollywood life. She’s hardly Eliza Doolittle. She’s already proving a catalyst for change, could she prove a catalyst for the biggest change of all? We’re conditioned to believe that they are a far elevated bunch, but this American actress with an all too human history could prove the final instalment for the myth of monarchy. 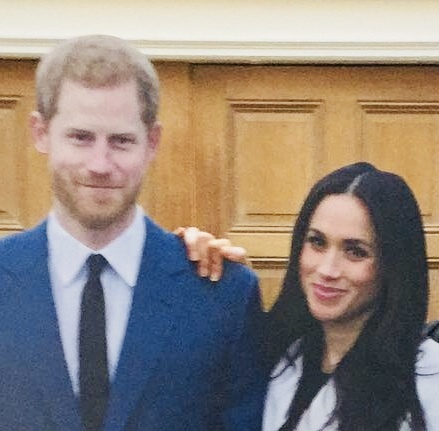 Harry is the fortunate one (and long may he believe that to be the case) but making we commoners curtsey to his fabulously real-life wife may finally, and Long Live The Queen etc, mean that the tables turn. In which case Markle for President, I say!